Since the Cornetto Trilogy from director Edgar Wright is also known as the Blood and Ice Cream Trilogy, it should be no surprise that The World's End has just as much blood as the previous installments Shaun of the Dead and Hot Fuzz. However, as the spectacular trailer has indicated, the blood is a little more like ink. 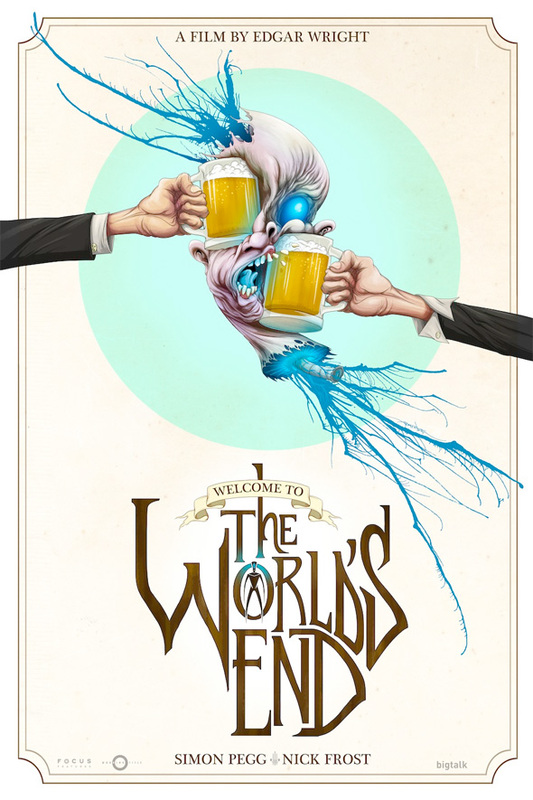 And a very detailed new poster for the sci-fi comedy action film starring Simon Pegg, Nick Frost, Martin Freeman, Paddy Considine and Eddie Marsan has surfaced with some twisted but gorgeous artwork from Alex Pardee. Also, check out more art and trilogy screenings nationwide right here. THAT. IS. FANTASTIC. I want it now!